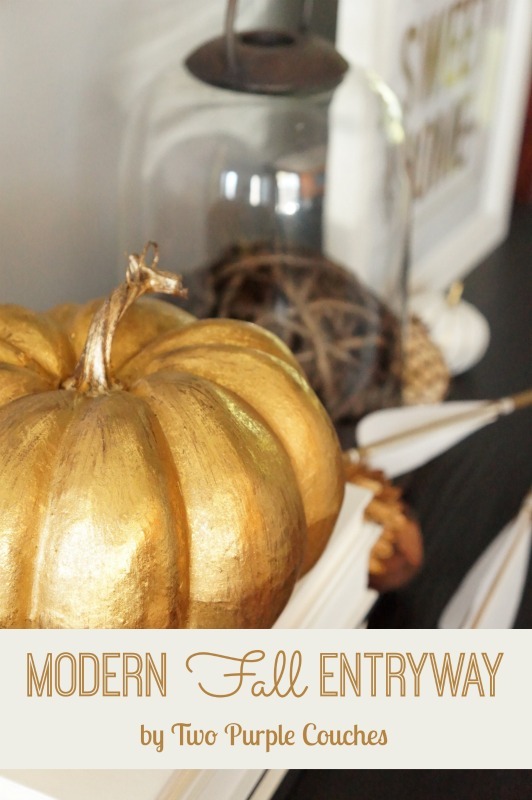 A few weeks ago, I shared my Modern Fall Mantel, and today I’m sharing another Fall-i-fied space in my home: the entryway! Initially, I wasn’t going to change up the entryway decor. It’s pretty much looked the same since its first big style overhaul, which you can see here, and again here. But after playing around with the mantel, I couldn’t help but rearrange some items in the entryway. And then before I knew it, I’d re-styled the whole thing! 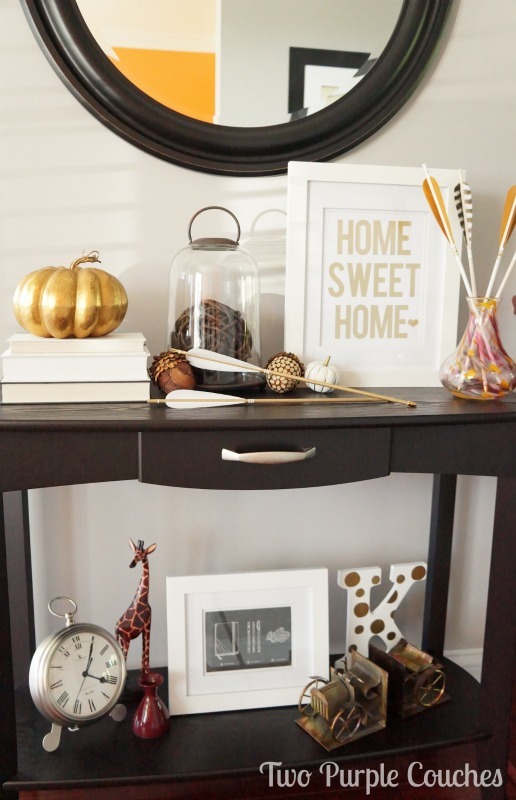 I only added in a few Fall accents, like the pumpkin and acorns, but for some reason, the whole console table now just feels more warm and cozy! Plus, I didn’t have to buy a single thing! All items were things I was already using on this table, or seasonal decor I had in my stash! 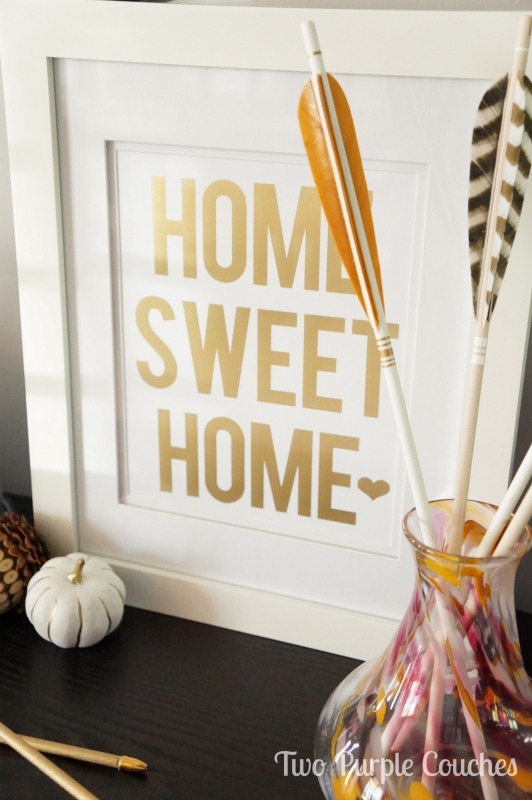 Aren’t gold and feathers just perfect together this time of the year? I know I’m totally smitten! 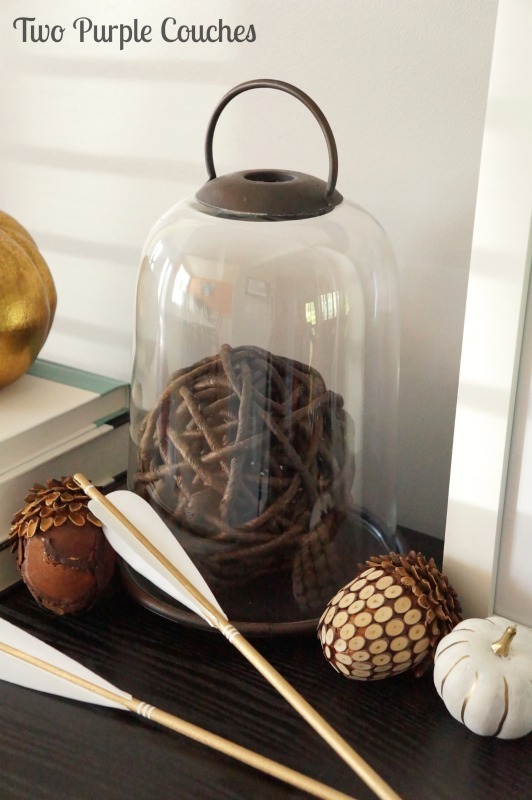 Looking for more Fall decorating ideas and inspiration? 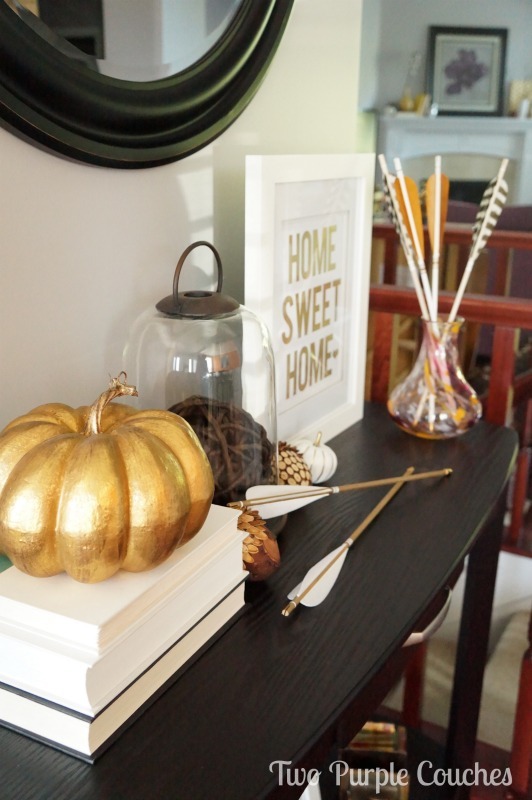 Check out my Modern Fall mantel and these simple pressed leaves prints! This entry was posted in Around the House on October 9, 2014 by Two Purple Couches. I love the arrows! What a great idea. Thank you Kim! They’re probably one of my favorite accents that I’ve ever bought! Thanks Carissa! Even I’m tempted to play around with those arrows at times! They’re just too fun not to! Thank you so much, Michelle! And thank you for the feature on Creative Spark! The next time I’m headed toward Mass, I’ll let you know 😉 I bet New England looks beautiful this time of the year!